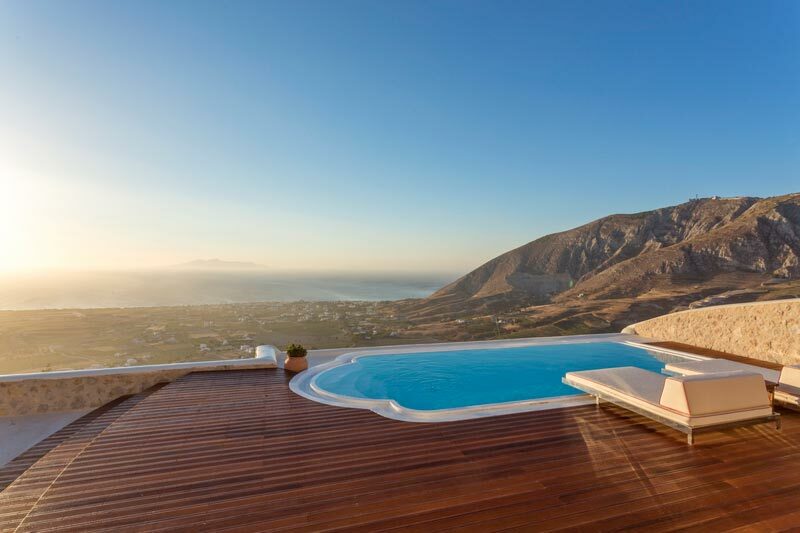 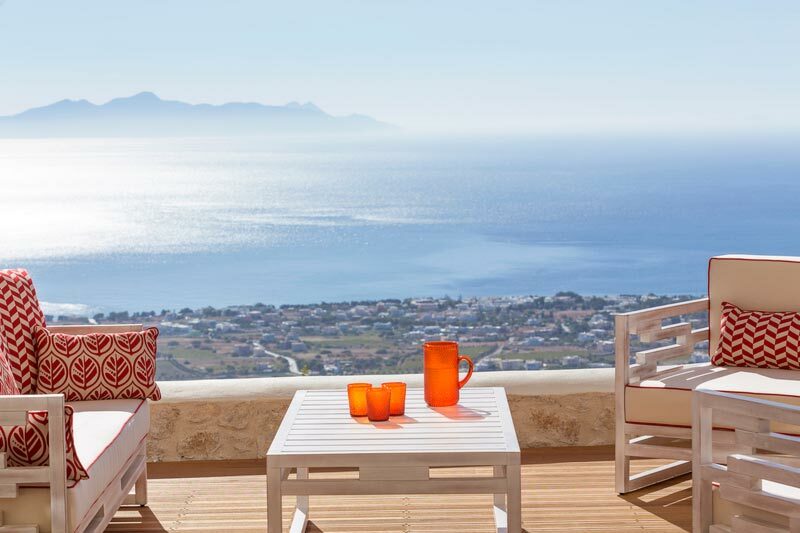 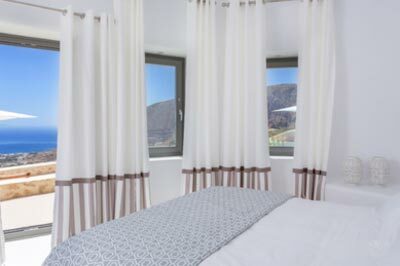 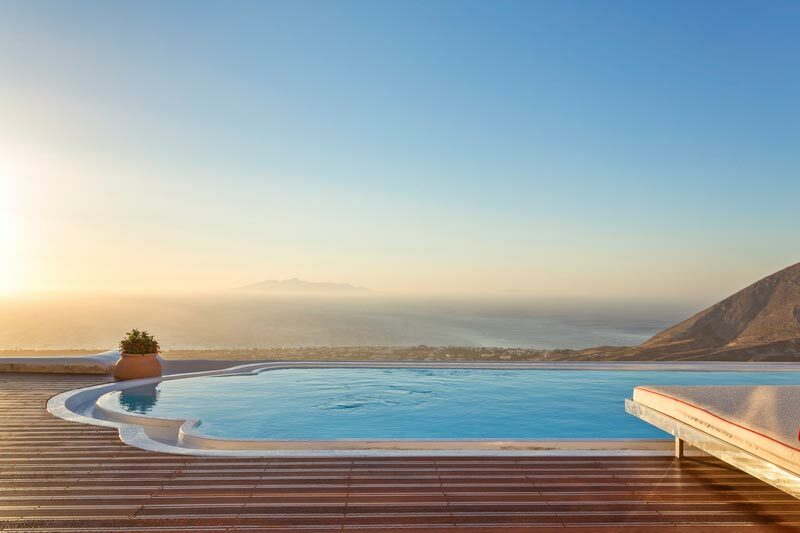 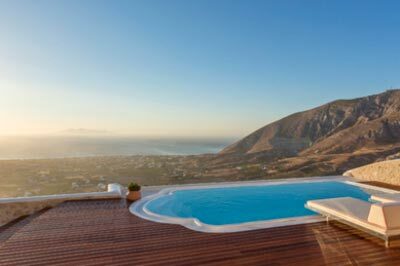 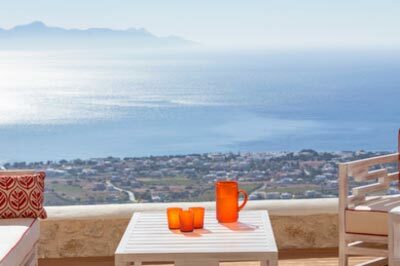 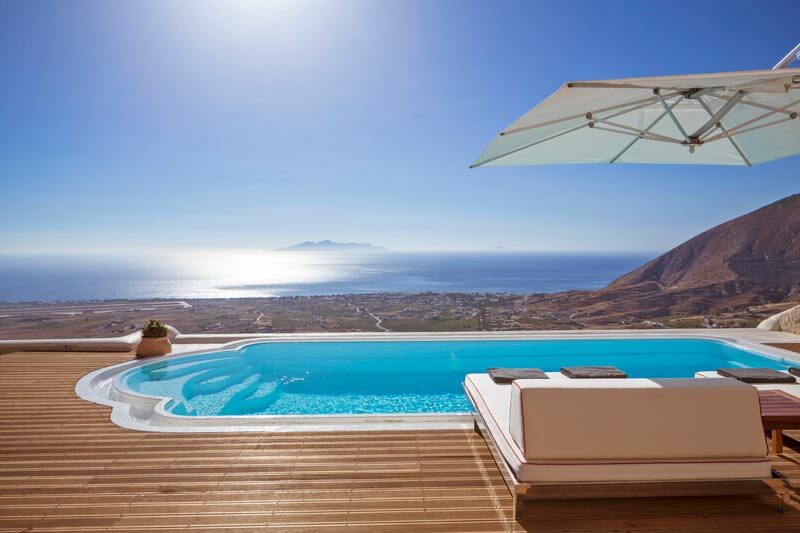 Kamini Santorini Villa is situated at the top of a steep slope, at the east part of the Santorini island and it enjoys a great view of the Aegean Sea. 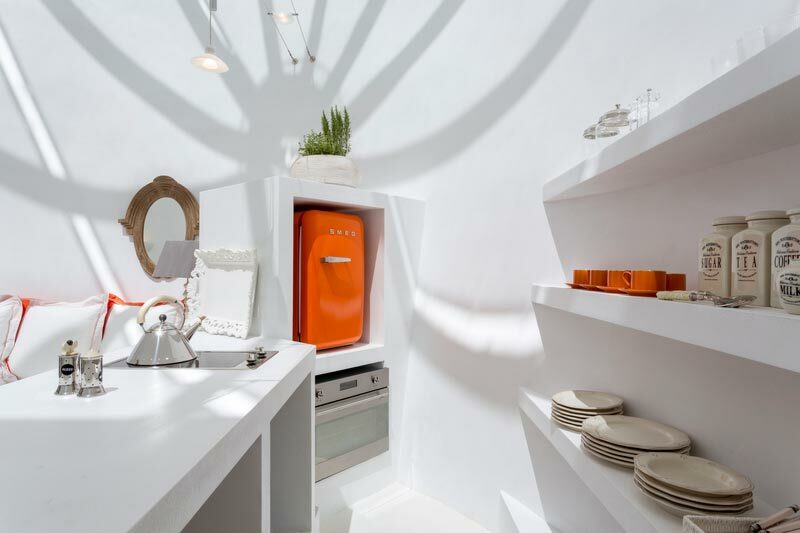 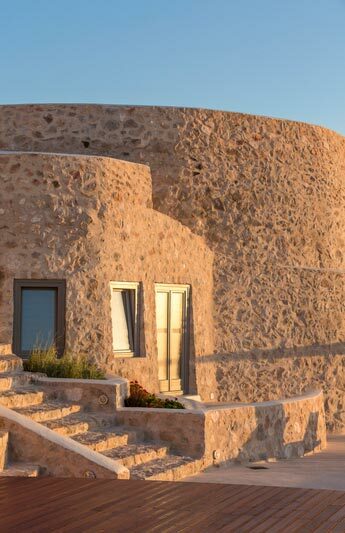 Two old kilns were totally restored and rebuilt in 2014 with respect to the Cycladic architecture using only eco-friendly materials. 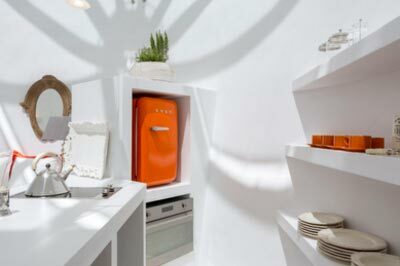 Elements of the kilns have been incorporated into the design and the big kiln is now the kitchen and the living room while the small kiln became a designed bathroom of one of the two bedrooms. 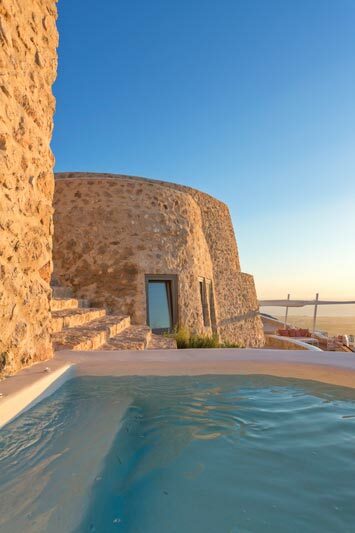 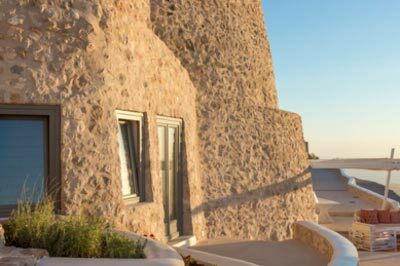 Both kilns stand like magnificent sculpture of this luxurious new Santorini Villa which is designed so that each room enjoys the same exceptional views. 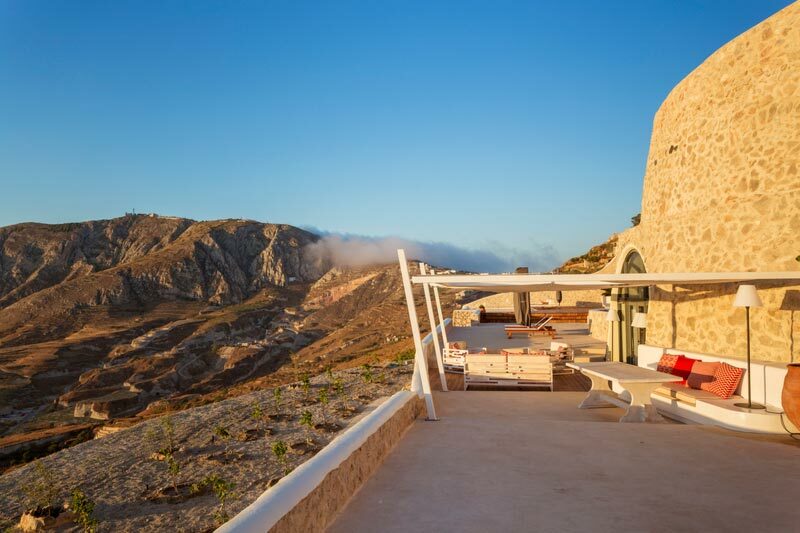 Framed as if in a painting and fully protected from the island’s strong winds the Kamini villa can comfortably accommodate 4 adults and 2 children. 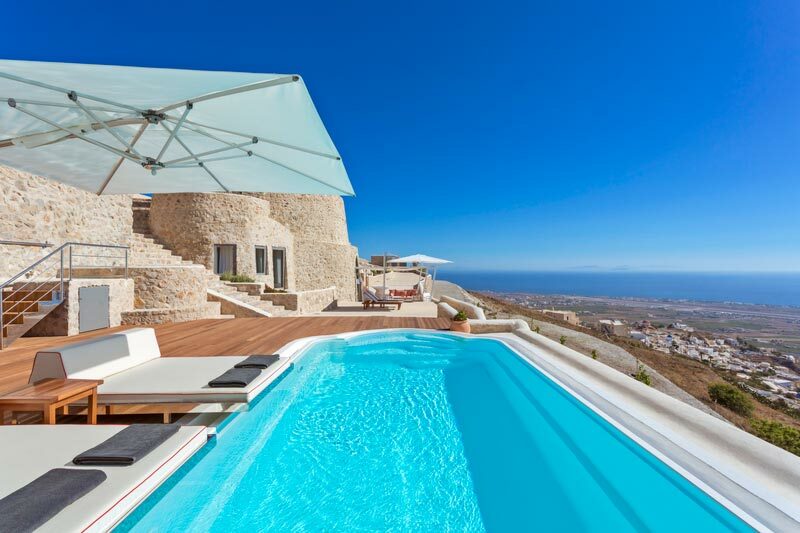 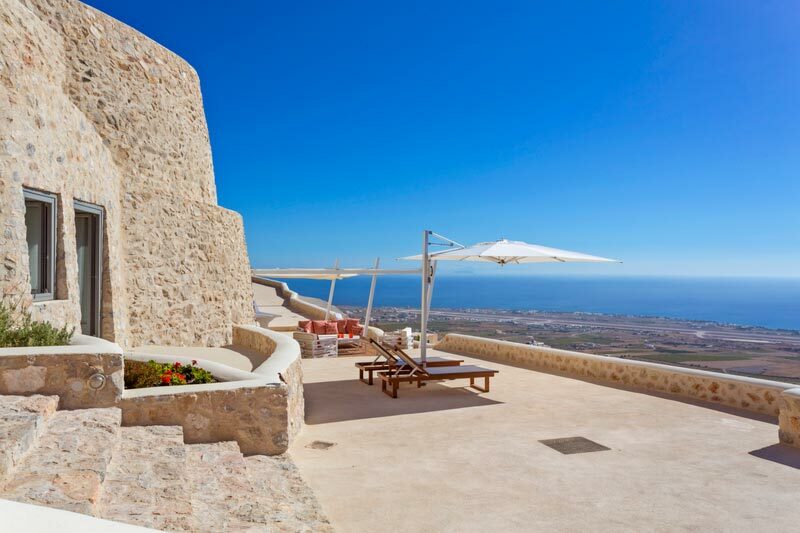 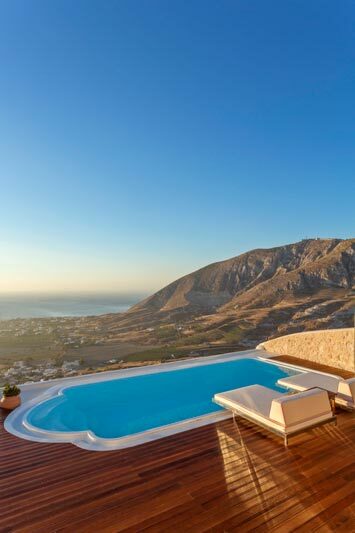 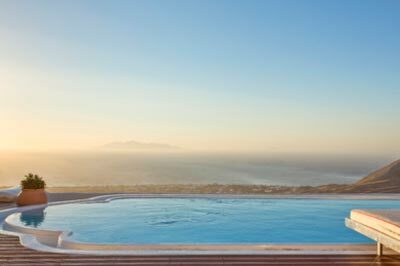 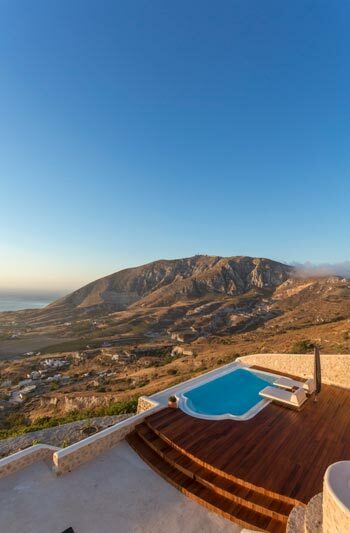 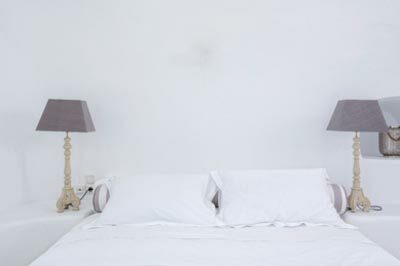 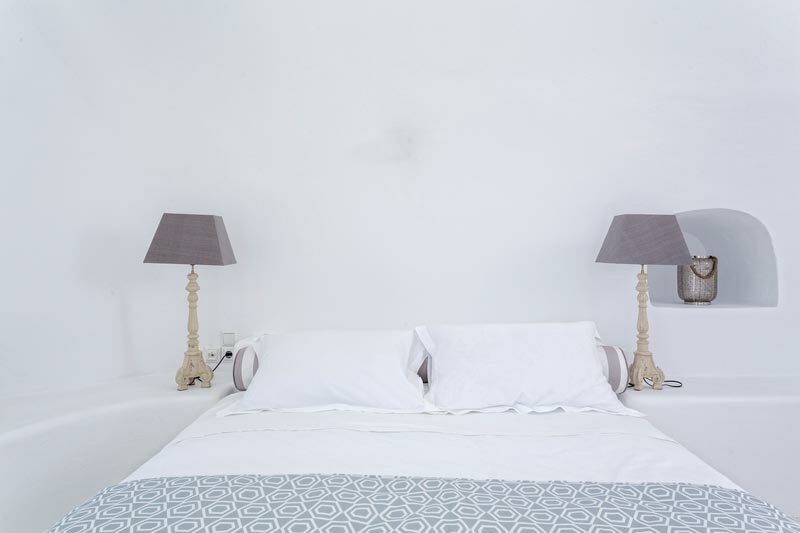 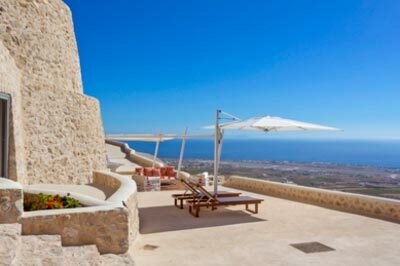 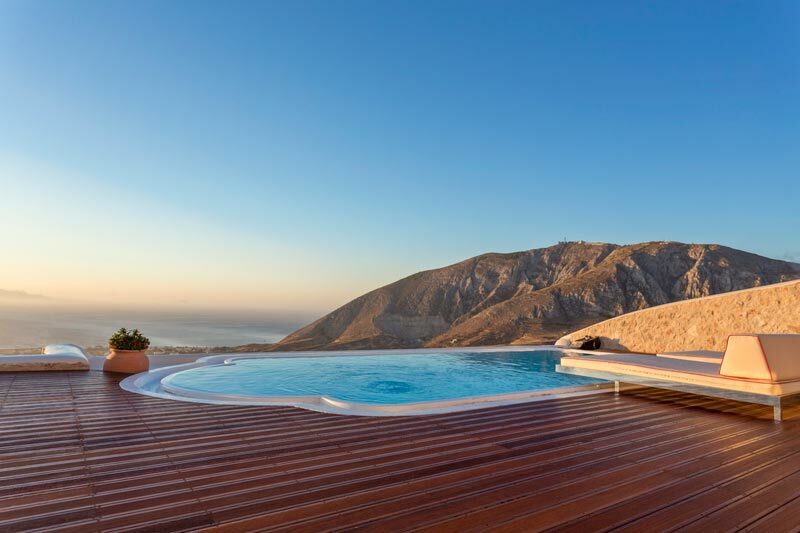 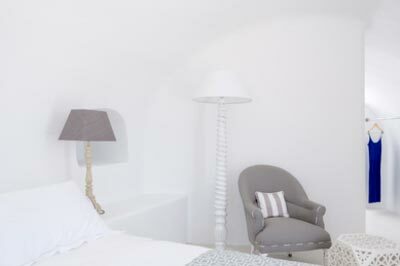 Kamini Villa is located in the medieval village of Pyrgos, about 3 kilometers southeast of Fira, the island’s capital. 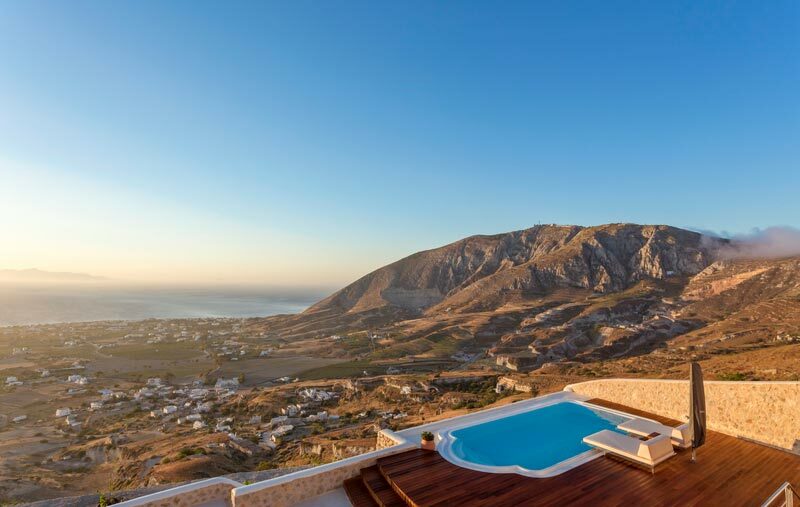 The village is built atop a hill, is the highest of the island, and enjoys panoramic views of the sea and Santorini. 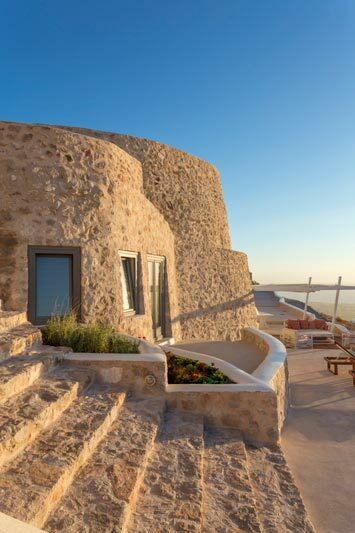 Pyrgos was the island’s first capital until the early 1800s, and still preserves its distinct character. 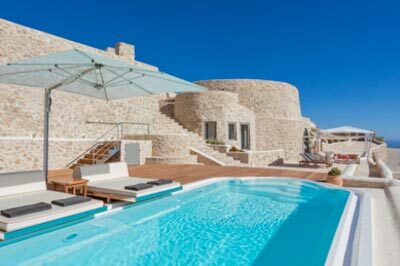 The imposing Venetian castle -one of the island’s five- dates back to the 13th century, and is surrounded by traditional houses, Venetian mansions, and beautiful whitewashed churches with blue domes. 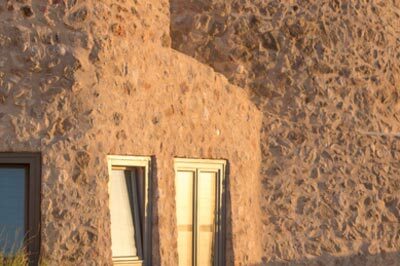 The village’s small streets are filled with scenic taverns, and little shops. 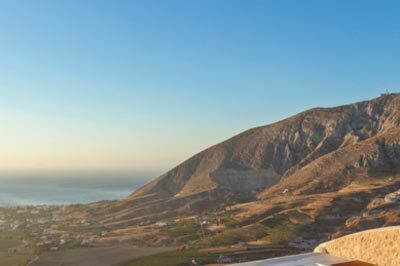 It is also worth mentioning that cars are not allowed in Pyrgos, so you need to park your vehicles in the designated lot at the entrance of the village. 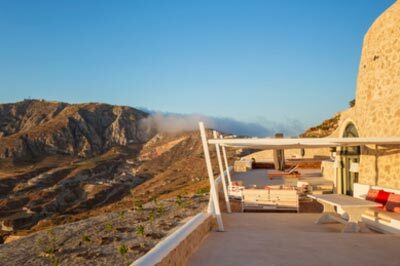 Pyrgos, being built atop the island’s highest spot, is ideal for those who love hiking and sightseeing. 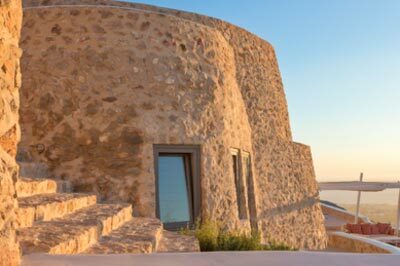 There are many churches in and close to the village, including the one dedicated to the Assumption of Virgin Mary, which is one of the oldest in Santorini, believed to have been built in the 10th century, with beautiful frescoes and icons, and the churches of Agia Triada, Archangel Michael and many others. 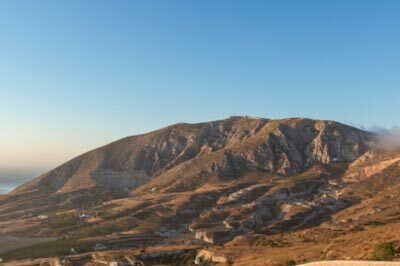 The Monastery of Prophet Elias is built on top of the homonymous hill, and hosts a collection of ethnographic material and old icons. 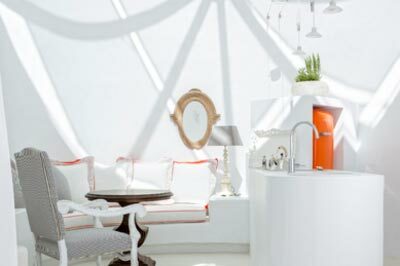 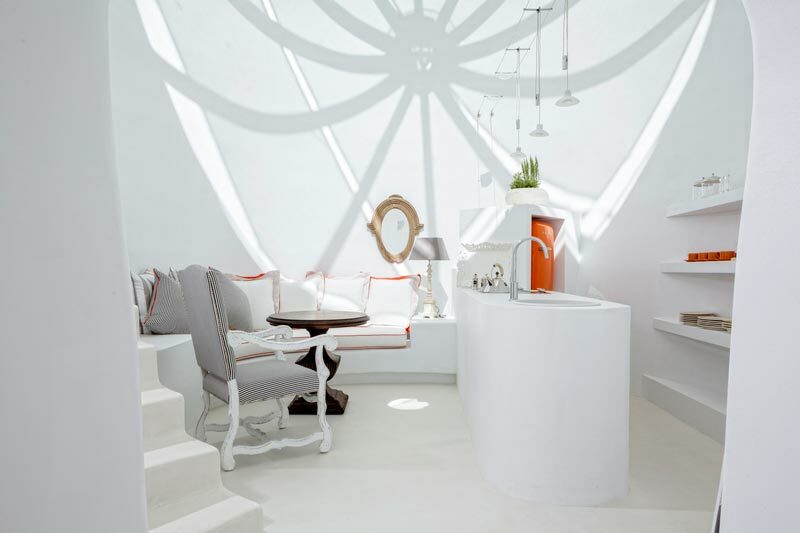 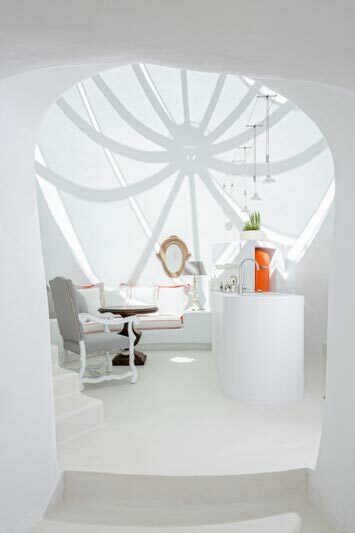 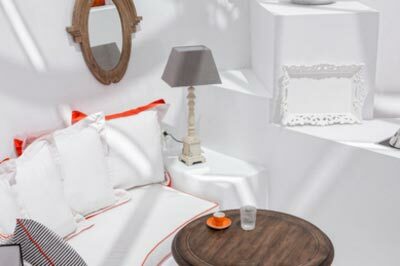 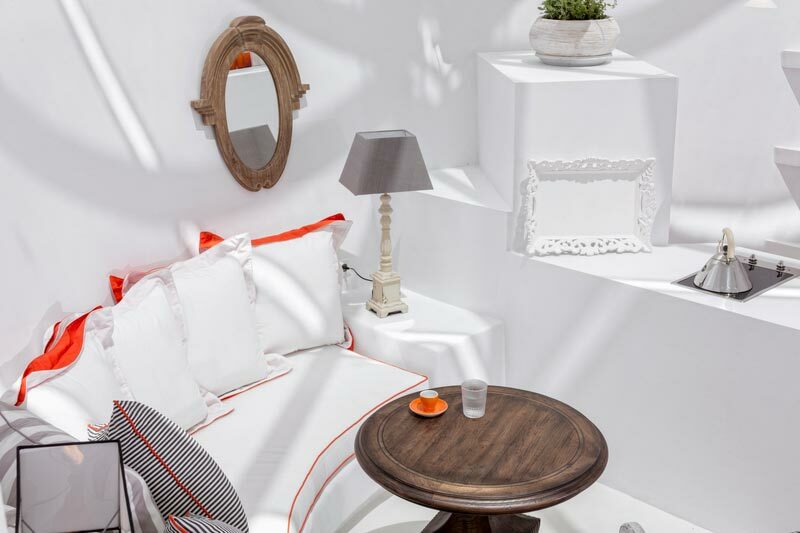 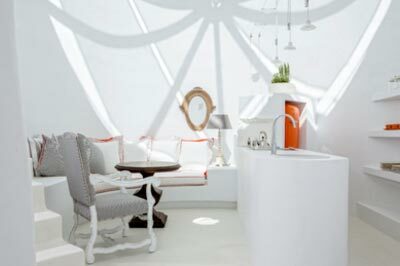 The villa’s interior is impressive, with its dazzling whites combined with splashes of orange, red and grey, meticulously selected furniture, decoration and light fixtures, genius utilization of the curves and hidden corners of the kiln’s walls, heavenly comfortable beds, and uniquely designed bathrooms. 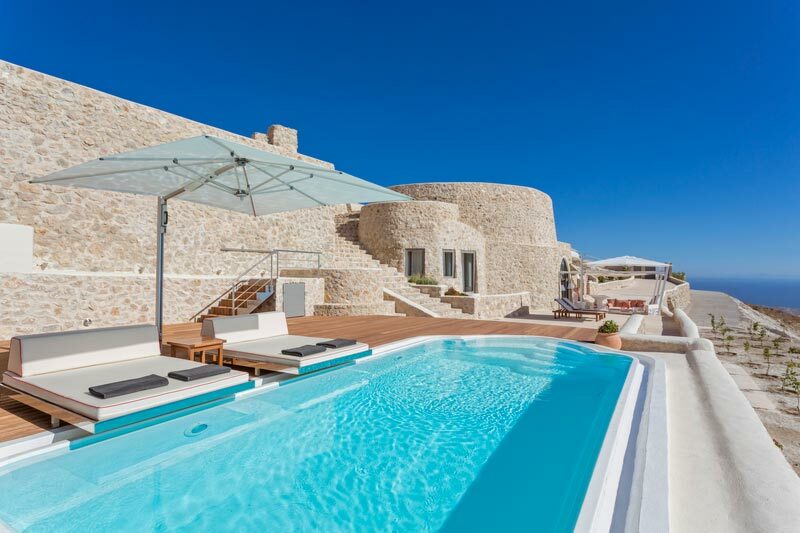 The villa that can accommodate 4 adults and 2 children has a fully equipped kitchen, living room, two bedrooms, and two bathrooms. 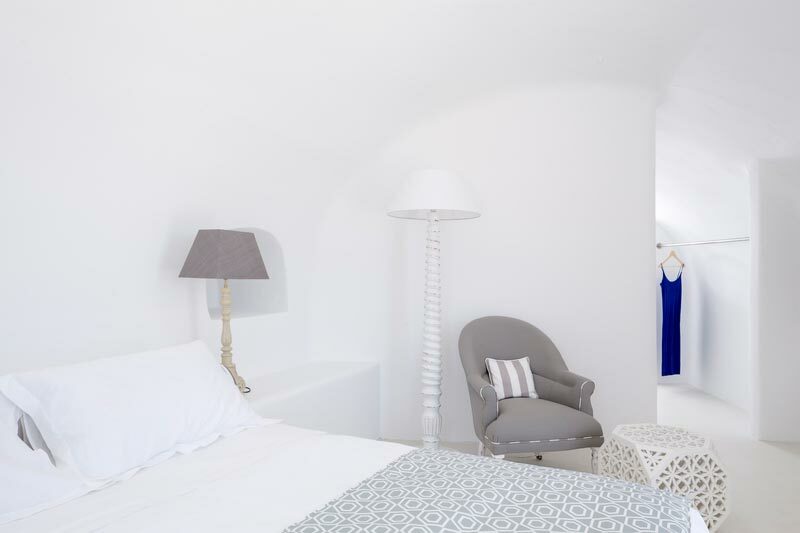 The bigger kiln houses the kitchen, living room, the bigger bedroom with the ensuite bathroom, while the second kiln -that has a separate entrance- houses the smaller bedroom and second bathroom. 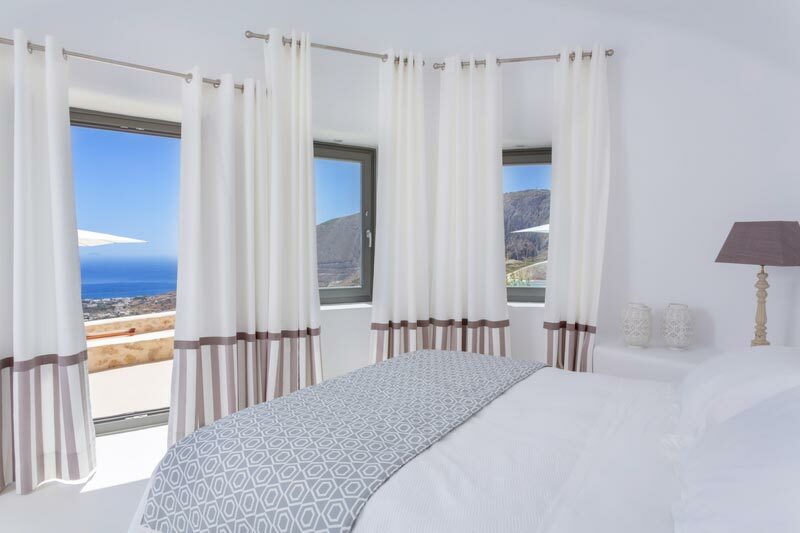 All spaces have large and smaller double-glazed windows, allowing for extraordinary sea views and for natural light to travel across the room and reflect on the brilliantly white walls. 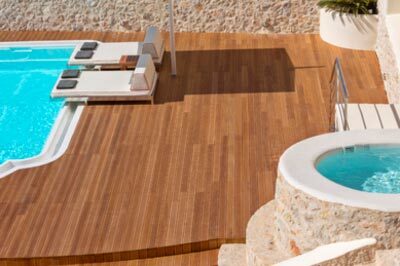 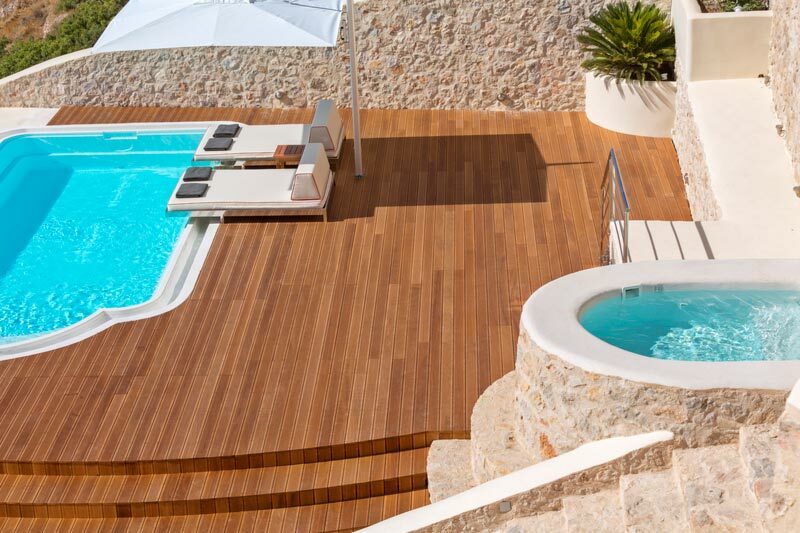 We welcome you personally and we are at your disposal for any information you may need about the island, your accommodation, the beaches or your way around in general.